The most interesting way to get to Gua Musang is by train from Kuala Lumpur, Johor Baru or Singapore. From Kuala Lumpur, it takes eight to nine hours. 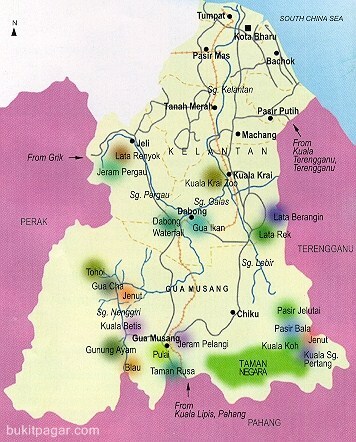 By road, Gua Musang takes three hours from Kota Baru and about five hours from Kuala Lumpur. There are express coaches and taxis from Kota Baru and Kuala Lumpur. There are also daily flights to Kota Baru. 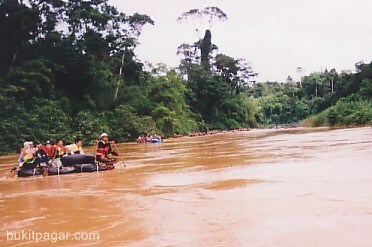 From Gua Musang, a pre-arranged transfer can be made to the starting point of the rafting expedition in Sungai Nenggiri at either Kuala Betis, some 40 minutes away, or historical Gua Cha, about 90 minutes via the trunk road. 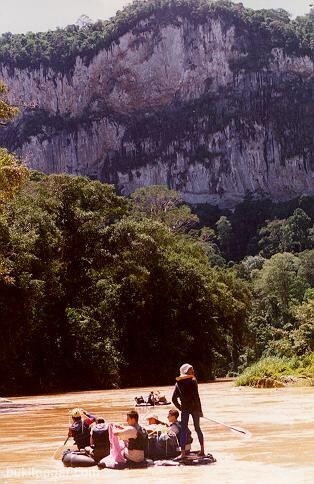 Gua Musang is set to be a hub for eco-tourism with budget travelers as the target market. Hence, there is an absence of star-rated hotels in the sleepy town. Among its limited range are more presentable lodgings at Kesedar Inn (09-9121229) and Fully Inn (09-912331). Your adventure begins after your arrival at the timber town of Gua Musang (Pahang/ Kelantan border); from there, you travel by off-road vehicles to Kuala Betis, the usual Put-In-Point. Here you `board' the inflatable rafts for some whitewater actions. 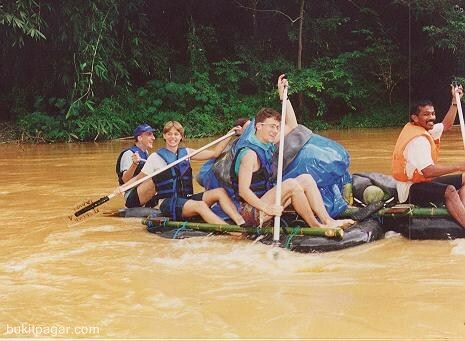 You raft along the 53km of the little known Nenggiri River that flows from the backcountry of Kelantan. En-route you stop to visit GUA CHA Archaeological Site with its mysterious cave and imposing limestone. Rafting down the river either on bamboo raft or rubber inner tubes is the best form of traversing this section of the river. Just float down, or paddle if you want to go faster. A trip of 2/3 days and 1/2 nights will be adequate to cover this section. Just savour the atmosphere while being accompanied by cacophony of sounds from animals and birds in a jungle environment. If you are lucky, you may be able to sight them because they are mostly nocturnal creatures. You spend a night camping in a jungle environment and here you will be sleeping by the ever-present cacophony of the sounds of insects, frogs, birds and an occasional hooting of monkeys. The river trip ends at Kampong SETAR from when you return by land to Gua Musang, the end of the river journey and adventure to remember. Those interested in taking on Nenggiri on their own should contact Kesedar at email info@bukitpagar.com.